Charlotte Turner is one of the top agents in Williamsburg! If you are looking to buy or sell a home in the Williamsburg area, give her a call - she gets results! 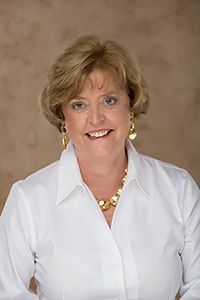 I am one of the top agents in the Williamsburg Virginia real estate market and have an exceptional track record of success in representing both buyers and sellers across the spectrum from starter homes to luxury estates. Having lived in Williamsburg for over 18 years, I know the area and the local resources extremely well. In addition my local expertise, I hold many advanced designations including Associate Broker, Accredited Buyer Representative®, Certified Luxury Home Marketing Specialist® (Million Dollar Guild®), Senior Real Estate Specialist®, e-PRO®, Short Sale & Foreclosure Resource®, and Accredited Staging Professional®. I stay on top of all the latest trends in the industry and use the latest innovative tools and techniques to service my clients’ needs including remote showings, 3D virtual tours and models using the Matterport Pro 3D camera, and (FAA authorized) aerial drone photography where appropriate. Looking to buy or sell a home in Williamsburg? Give me a call - I get results! Williamsburg is an exciting community with many great attractions like Colonial Williamsburg, Jamestown, Yorktown, Busch Gardens, shopping, golf and waterfront activities. You can search through homes for sale in Williamsburg neighborhoods, search by Williamsburg area ZIP codes (23185, 23188, 23168 and 23089) and look for property in other cities nearby Williamsburg. You can compare your homes to recently sold homes in Williamsburg and other similar homes for sale in Williamsburg. You can even search for homes by neighborhood; whether you are looking for a home in Colonial Heritage, The Villages of Westminster, Greensprings West, Kingsmill, Ford's Colony, Governor's Land or any of the great communities around Williamsburg, you can find them here. Whether you are looking for a single-family home, condo, townhouse, waterfront, luxury home, 55+ active adult community or an affordable home for a first-time buyer, I have the resources to help you find exactly the home you are looking for. Thinking about selling real estate in Williamsburg, James City County or Upper York County? If you are selling a home in the Williamsburg, Virginia market, you want all the exposure and marketing expertise possible. Through a proven combination of market contacts, a network of satisfied clients, extensive online marketing, the use of social media and persistence, I have the tools and experience to help you sell your home quickly and at the right price. Learn more about my service, see information about recent home sales in the Greater Williamsburg Area, or contact me to get started today! Not only do I have the experience and knowledge to help you buy or sell your home, but I have a passion for doing it better than anyone else. Give me a call - I get RESULTS!